[EXCLUSIVE] Aliens: Resistance #1 Tristan Jones variant revealed – AiPT! Aliens: Resistance hits comic shops January 23, 2019! Ripley is back fighting Aliens this January with writer Brian Wood, artist Robert Carey (Power Rangers, Transformers), color artist by Dan Jackson (Buffy the Vampire Slayer), and letterer Nate Piekos at the helm. It’s not the Ripley you’re thinking though (first name Ellen), but her daughter Amanda. In this new series, Amanda is looking into what happened with the Weyland-Yutani Corporation 15 years after her mother’s disappearance in Alien. 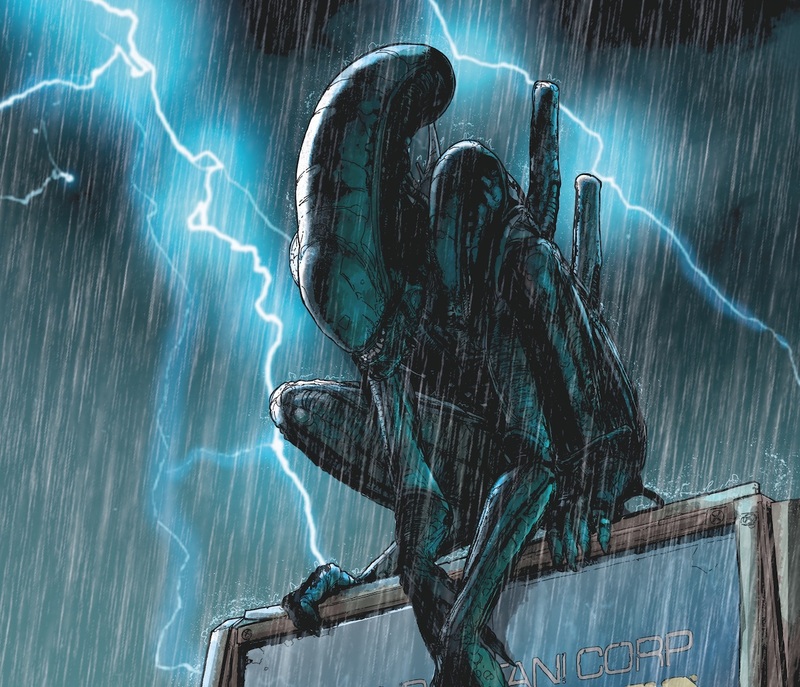 Exclusive to AiPT!, we have the first look of Tristan Jones’ variant cover fully displaying the Alien backed by lightning to enhance that horror effect. Will you be purchasing this series out January 23rd? How do you feel about the story furthering the mythos with Ripley’s daughter? Sound off in the comments. MILWAUKIE, Ore., (September 28, 2018)–Since 1979, Ridley Scott’s seminal sci-fi horror masterpiece Alien has spawned a cultural phenomenon and an enormous franchise that has branched out to sequels, spin-offs, merchandise, video games and, of course, comics. Following Brian Wood’s 2016 critically acclaimed miniseries Aliens: Defiance, Wood returns to pen the sequel story Aliens: Resistance.